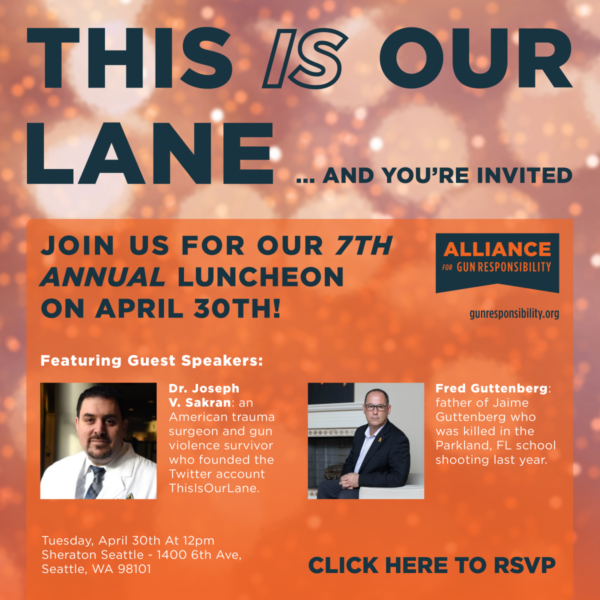 Founded in 2013, the Alliance for Gun Responsibility works to end the gun violence crisis in our community and to promote a culture of gun ownership that balances rights with responsibilities. Through collaboration with experts, civic leaders, and citizens, we work to find evidenced-based solutions to the crisis of gun violence in our community. We create innovative policy, advocate for changes in laws, and promote community education in Washington State.